This student activity can be used as a beginning of the year graphing lesson. 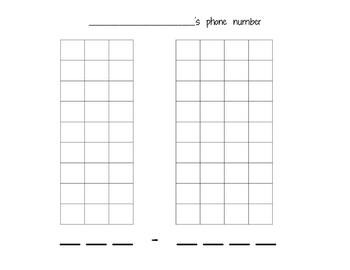 I write in each students name and phone number ahead of time and model how to fill in each bar with my own phone number. For example if the number is: 123-4567 the first bar would be colored from the bottom up with 1 square, the second bar would have 2 colored in, etc. I have the kids use different colors or a pattern. We put these in a class book to have all year.